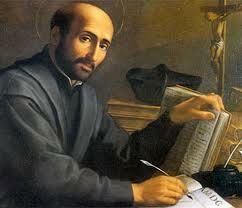 This entry was posted in Ignatian Spirituality and tagged Ignatian, Ignatian Spirituality, Jesuit, Jesuit Restoration, Jesuit Suppression, John Adams, July 31, Manresa, Pierre Teilhard de Chardin, Pope Clement XIV, Pope Francis, Pope Paul III, St. Francis Xavier, St. Ignatius, St. Ignatius of Loyola, teilhard, teilhard de chardin, Thomas Jefferson. Bookmark the permalink. I love the Jesuits, especially Inigo himself! Thanks for all this lovely history.